Home / Blog / Am I Eligible For an Annulment? An annulment is similar to a divorce because it is a court order that dissolves a marriage. 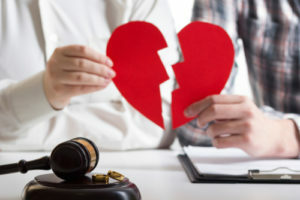 The difference between an annulment and a divorce is that an annulment is a declaration that the marriage was never valid, so the division of property and assets is different in these proceedings. Annulments are also more complicated to obtain than a divorce, and they are only granted in specific situations. When Can I Seek an Annulment? There are three circumstances under which courts will consider providing a couple with an annulment. When one party has intentionally committed fraud, misrepresentation or concealment of some fact, the other party is eligible for an annulment. These circumstances are met when a spouse has lied about their ability to have children, a drug addiction, previous jail time, ongoing criminal behavior or health issues. Couples may also be granted an annulment when one party is unable or refuses to consummate the marriage. The most common situation where parties are granted annulments are when there is a significant misunderstanding between the two. Individuals have a greater likelihood of being granted an annulment when the marriage was short lived. For over 25 years, family attorney Karen A. Schoenau has assisted clients in successfully annulling or divorcing from their partners. Her experience, skill and compassion work together to create legal counsel you can trust. She understands the emotional and psychological strain that splitting up has on her clients, so she strives to ensure the best possible outcome in every situation. Whatever your circumstances, you can trust attorney Schoenau to provide you with the responsive and high-quality legal representation you deserve. Call 480-725-5987 now for more information.